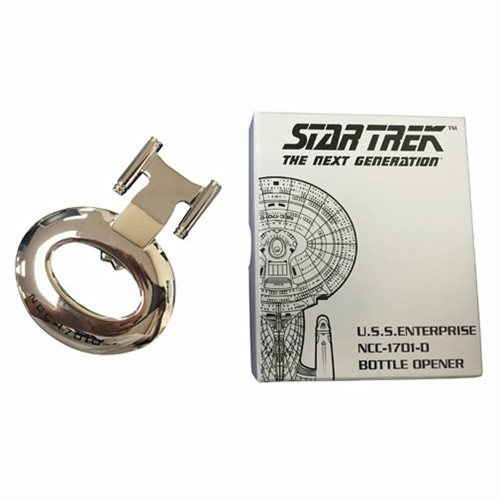 Shopping for Star Trek Bottle Openers? Crack open your next bottle of Romulan Ale in style with the Star Trek: The Next Generation U.S.S. Enterprise NCC-1701-D Chrome Bottle Opener! Measuring approximately 4-inches long x 3-inches wide, this version of the U.S.S. Enterprise bottle opener features black printed writing and comes packaged in a decorative box. Ages 13 and up.